LipSmart is the new revolutionary lip treatment that boosts the moisture back into your lips to give you that plumped up look naturally, without an irritant. Its patented bio-active fusion of naturally occurring amino acids, such as soy extract and phytokine, will moisturize and give your lips a soft and fuller look. Our lips need continuous hydration to prevent environmental elements within our everyday lives such as the weather, central heating and air conditioning, causing them to become cracked, wrinkled and thin. 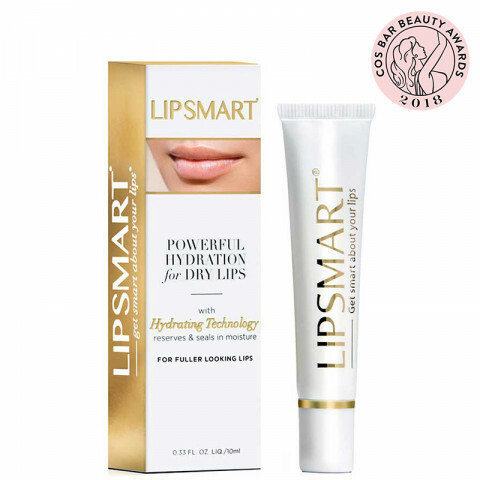 LipSmart's ingredients stimulate the production of collagen, which in turn delivers a constant steam of moisture to your lips with fabulous end results. Also a great moisturizer for travel! This product is absolutely wonderful. I use it at night before bed and when I wake up my lips are still full of moisture. I tend to have dry skin so this product help a lot with my dry lips. And I use it at least once during The day, when needed. I highly recommend this product. I would not purchase this again, nor would I recommend. The moisture doesnt last for a long time but good thing is that it last for 4 months, when I used regularly everyday. I have tried most products out there to date for lip hydration. This is the best yet, WITHOUT being the most I've spent on a lip product. I struggle to find a product that leaves my lips hydrated without feeling sticky and this does it! Feels great on my lips and provides plenty of hydration. I really love this lip smart, my lips can get dry so easily, but this instantly cure it. Lipsmart met all of my expectations! The product glides on so smoothly and gives my lips amazing moisture and suppleness. The lines and cracks in my lips are not as a pronounced, so my lips look fuller and feel incredibly soft! I keep one next to my bed, and another on me at all times!